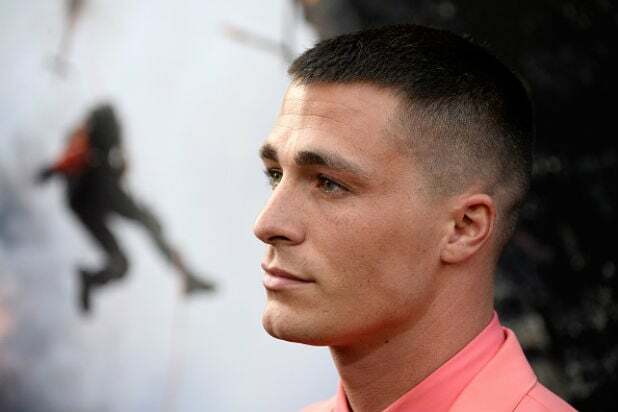 Former “Teen Wolf” and “Arrow” star Colton Haynes has publicly come out as gay after a social media post in January raised fan speculation about his sexuality. In an interview with Entertainment Weekly published Thursday, Haynes said that his family and friends had already been aware of his sexuality, but did not feel comfortable discussing the topic until now. In January, a fan made a comment about Haynes’ “secret gay past” on a Tumblr post, to which the actor replied, “Was it a secret?” Celebrity bloggers took the post as a confirmation that he was coming out, but Haynes didn’t make any further comment on the matter. Shortly after the post, he checked into rehab to deal with anxiety issues that he says led to ulcers. Haynes says his health issues were the main reason behind his decision to leave his role as the superhero Arsenal on “Arrow” last year. “People want you to be that GQ image that you put out, but people don’t realize what it’s like to act 24 hours a day. I’d go home and I was still acting,” he said. “I would love to do more. They know I love them. I’d go back in a second,” Haynes said.